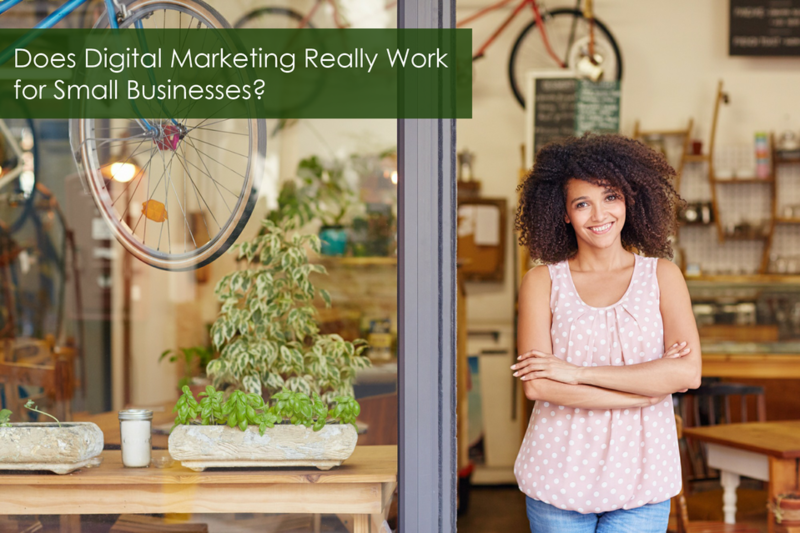 Does Digital Marketing Really Work for Small Businesses? Yes, digital marketing really works for all types of business, including small and midsized local businesses. As a matter of fact, digital marketing now beats television for ad spending. When you look at the latest earning reports from social media and search engine giants like Google, Facebook, Twitter, LinkedIn, etc. you will see how well digital marketing is performing for small business marketing. While print still has its place in promotional marketing, the best overall returns are from digital marketing. If you're not getting the results you want from your digital marketing efforts, contact us here at Vibrant Digital VA. We would love to help you figure out what's not working and help you develop a strategy that will work. Want to know how digital marketing can help your business thrive? Check out this post on 11 Ways Digital Marketing Will Help Your Business Grow. You might also be interested in how Digital Marketing Definitely Gives Your Business a Competitive Edge. Questions about the success of digital marketing in today's competitive business environment? Leave your questions and comments below and thanks for stopping by!